Situated in the centre of the town of Annan, providing a range of local facilities including schools, swimming pool, cinema, leisure centre, and a variety of supermarkets. Close to bus and railway stations. Double Bedroom with built in wardrobes and Shower Room. Benefits from double glazing and electric heating. Residents garden and secure car park. Enter through main doors door into the Main reception area, take lift to 1st floor to Apartment 24. Coving, ceiling light, smoke alarm. Walk in storage cupboard with shelving. Telephone point. Carpeted flooring. Spacious area extending to a dining area. Coving, two ceiling lights, TV point, electric living flame fire set into feature. Carpeted flooring. Coving, ceiling light. Electric storage heater, carpeted flooring. Doors with curtain pole to Juliet balcony. Window to front with blind. Coving, one x three spotlights, wall and base units, integral eye level oven, four plate ceramic hob, extractor fan. Stainless steel sink and drainer with mixer taps. Space for under counter fridge. Partially tiled. Vinyl flooring. Window to front with curtain pole. Coving, ceiling light, double built in wardrobes with mirrored fronts. Space for additional wardrobes and bedroom furniture. Electric storage heater, carpeted flooring. Coving, ceiling light, three piece suite comprising of toilet, wash hand basin set into vanity unit, walk in shower. Fully tiled. Dimplex electric wall heater, electric towel rail, vinyl flooring. Residential parking is available on a rota basis. Residents have the benefit of a communal garden and patio area, residential lounge, laundry room and guest suite. There is a service charge relating to maintenance of communal areas, including gardening and landscaping. Buildings insurance is also included, together with costs relating to heating and lighting in communal areas, use of the residents lounge, laundry room and other communal facilities. It is understood that the service charge for 24 Murray Court currently amounts to £32.74 per week. By appointment only – please contact any of our offices 01461 205690 to arrange a time, suitable for you. 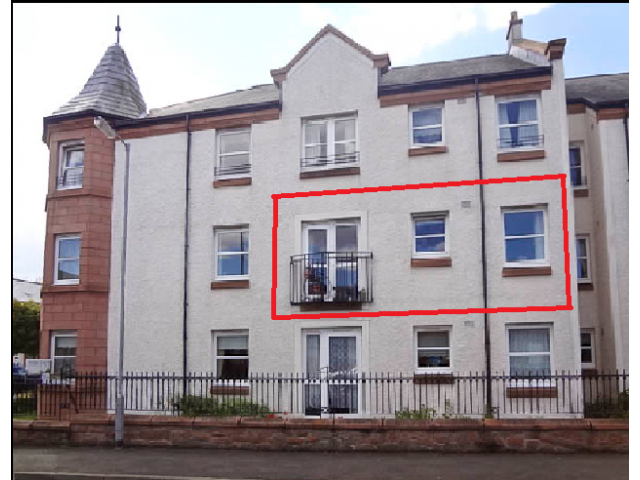 Offers in the region of £70,000 are invited and should be submitted to lj Residential, 93 High Street, Annan, DG12 6DJ or by fax to: 01461 205037.